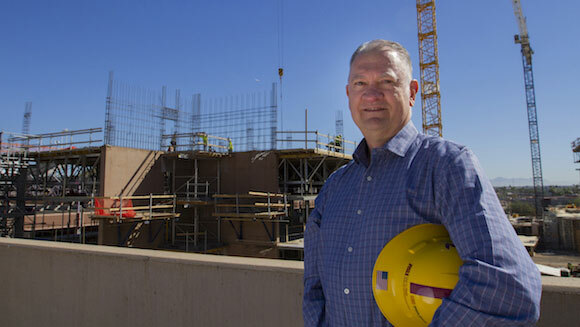 When the leaders of Arizona State University’s civil engineering and construction programs went looking for someone to fill a new endowed faculty position a few years ago, they needed to find a heavy hitter in both fields. The endowment for the Beavers-Ames Heavy Construction Chair called for someone with broad knowledge in the planning, design, engineering and building of an especially wide range of systems and structures — along with the teaching skills to educate college students and working professionals in those areas. The candidate would need experience in the engineering and construction of roads, bridges, tunnels, dams, power transmission and water systems, and similarly sizable infrastructure involving the use of large construction machinery. The preferred Beavers-Ames Chair holder would also have both a grasp of the changes in civil engineering and major construction practices over recent decades and a keen eye for where the technological evolution within the industry is heading into the future. Even with such demanding requirements for the job, Wylie Bearup stacked up as more than qualified. Bearup’s careeer started with 24 years in the Army Corps of Engineers, working on numerous military and public works construction projects throughout the United States, along with several in Europe and the Middle East. His duties at times also included “combat engineering” assignments aimed at clearing paths to enable U.S. troops to advance on their targets or defend against the advance of opposing forces. His skills prompted the Army to keep him on the job by supporting his continued schooling to earn a master’s degree in civil engineering from the University of Arizona and then a doctoral degree from the University of Illinois at Urbana-Champaign. Later came 14 years with the city of Phoenix — the last 10 years as chief engineer, plus the last six years doing double duty as the street transportation director. He was at the helm of the city’s capital construction program during a period of rapid expansion of municipal facilities and ambitious downtown revitalization efforts. Bearup had a leading role in a major renovation of the Phoenix Convention Center, the building of a large high-rise hotel close by, and the construction and renovation of buildings to establish and then expand ASU’s downtown campus. He was also involved in the development of the downtown biomedical campus shared by ASU, the U of A and private research enterprises, and the building of the ultramodern Sky Train at Phoenix Sky Harbor Airport. Add to those a number of libraries, parks, fire stations, community centers, street improvements and water resources projects to support the needs of the city with the sixth-largest population in the country. Bearup brought innovative project management to the city, says David Krietor, president and chief executive officer of Downtown Phoenix Inc., the community development group that promotes civic revitalization. “He led the transition from the traditional design-bid-build system to a new construction contracting method similar to those being used successfully by the private sector. Those changes fostered a more cooperative and collaborative environment for carrying out and completing large projects,” Krietor says. 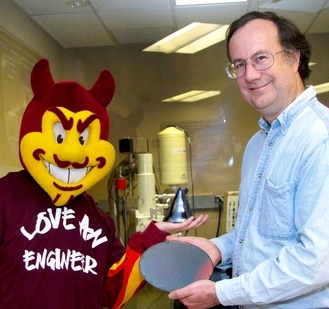 Meanwhile, ASU’s Ira A. Fulton Schools of Engineering waited for its opportunity to further delay his retirement. Years earlier, as he was winding down his career in the military in the late 1990s, Bearup’s last assignment had been as head of the Army Reserve Officers’ Training Corps (ROTC) at ASU. 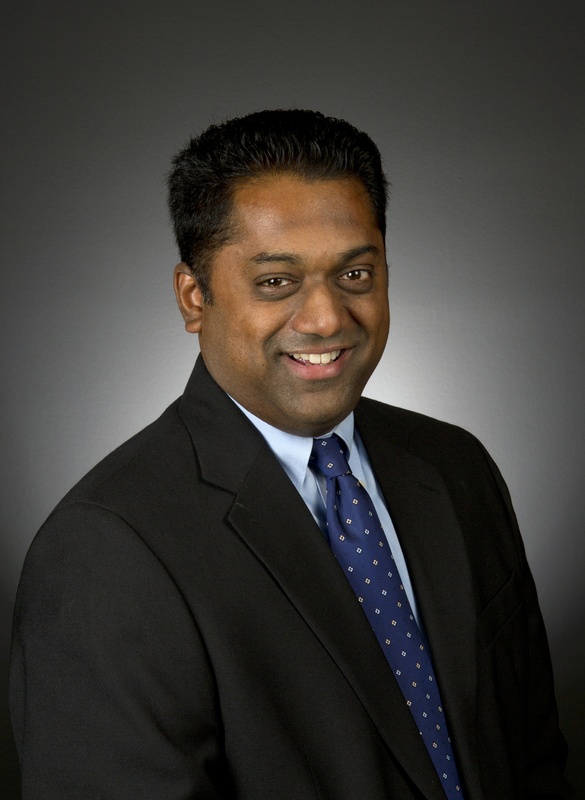 During that time he also served as an adjunct professor in the construction management program. The construction school wanted him to stay on in a bigger role, but he couldn’t turn down the enticing engineering position with Phoenix. When he decided to retire from the city job, ASU was ready with an offer for him to fill the Beavers-Ames Chair in the Del E. School of Construction, part of the School of Sustainable Engineering and the Built Environment in the Fulton Schools of Engineering. Bearup was made a professor of practice — a title given to those who may not have the high-level academic credentials for a professorship (though Bearup does) but whose professional experience and accomplishments in their fields make them a desired addition to the university’s faculty. In Bearup’s case, his four decades in construction and engineering made him not only qualified to teach but also to be called on to step in as executive director of the Alliance for Construction Excellence (ACE), the Fulton Schools of Engineering education and industry outreach program for construction management professionals. 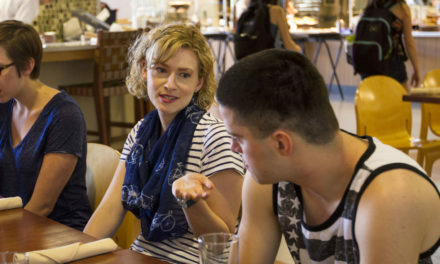 “I like being able to work with both young students and the working professionals. It makes the job challenging but rewarding at the same time,” he says. While still with the city of Phoenix, Bearup and ASU associate professor James Ernzen co-chaired an ACE task force that was instrumental in supporting a successful effort to pass major state legislation to improve the construction project delivery process throughout Arizona. In that role, Bearup “demonstrated the leadership that led to him being named the director of ACE” when the former director retired, Ernzen says. Besides duties with ACE, Bearup is teaching a graduate-level course in public works capital construction management and an undergraduate course in construction materials, methods and equipment. He is also helping to develop a senior engineering capstone design course in construction management, one that will elevate the senior-year project experience for students and set a rigorous standard for learning that would further secure the construction school’s academic accreditation. More than having the opportunity to give students the benefit of his knowledge from his past experiences in the industry, Bearup says it’s exciting to explore with them the new technologies and trends that are shaping 21st-century civil engineering and construction. There’s the computer-aided virtual planning and design, the advanced prefabrication methods and high-tech building information management systems, and the “smart” remote-controlled machinery guided not only through computerization but by satellite technology. Ending up teaching construction and engineering in Arizona makes for a kind of wide swing back to where his career interests first took root. Bearup now lives about 100 miles away from the small ranching and mining town of Hayden in southeastern Arizona where he grew up. After graduating with a Hayden High School class of 52 students and soon after marrying his girlfriend, Yulon, now his wife of 44 years, he joined the ROTC to help fund his way to a bachelor’s degree in civil engineering at the University of Arizona. Later, the other college credentials in the family would come from ASU — biology degrees for one daughter and a son-in-law, and an art history degree for another daughter. “I can claim ties to both universities. But for me, this is the place where I want to make a final mark,” he says, referring to the building that’s home to the Del E. Webb School of Construction.